Cooking is one of the real life activities that uses the most math skills. 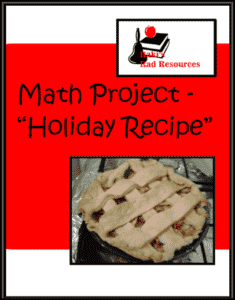 This math project helps students work through the planning of a holiday recipe. 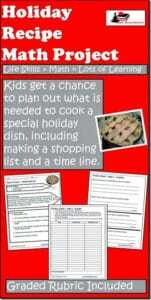 It can be any recipe that is special to the holiday or the student. 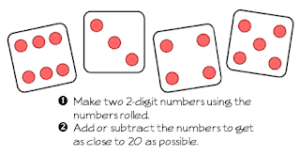 While students plan, they work on measurement, money, rounding, addition and elapsed time. 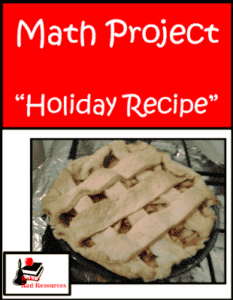 Help your students make real world math connections by downloading this Holiday Recipe Math Project from my Teachers Pay Teachers store.